Tagged under Yu Aida, Artland, Madhouse, Series. Officially The Social Welfare Agency is an Italian government sponsored corporation that is in the business of saving lives. However, in reality it is an agency on the fringe of technology that gives terminal children another shot at life using cybernetic implants, shaping the patient into an efficiently deadly machine, and then using them to handle all the governments dirty work. Each child assassin is assigned a handler known as a fratello, meaning 'brother' in Italian. Each Fratello is set with the task of overseeing the cyborg's basic welfare and training. 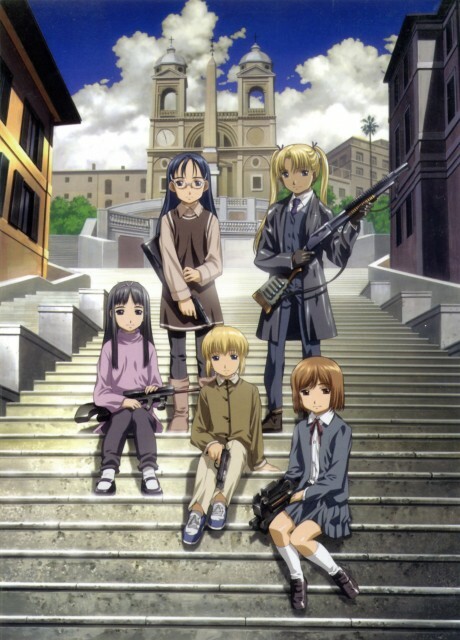 The anime focuses on the conflicts arising from the needs to create an efficient weapon along with the needs of a growing adolescent girl, the relationship between each girl and her Fratello, and the conflicts that arise. As a direct sequel, Il Teatrino couldn't grasp its predecessor's greatness. There are many things you shouldn't expect from watching it: the heartfell, understanding behind the girls' tragedies and relationships of their handlers, the impressive key visual and the follow-up complex in storytelling. To sum it up, Il Teatrino is a big step down from the original. 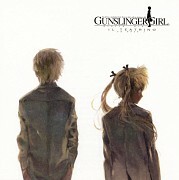 Still, devolution it may be, fans of the Gunslinger Girl series should give it a try despite these less improved aspects. The action is a lot more intriguing, Pinocchio, Triela and Jean give the series an overall continuity that the original lacked, allowing it to build a satisfying finale that overcomes its technical shortcomings. I like how the show doesn't glorify or fetishise the idea of girls using guns and instead focuses on the emotional side of things. It's quite strange how such a violent show manages to keep up a relaxing tone. Great character development, but wish the mentors are more explored on. This series is quite potent to me, and sentimental. These young girls....transformed into invincible cyborgs. Watching them shooting semi-automatic guns and coping with personal situations is entertaining, dramatic, and thrilling. Well, it's good, the whole anime seems pretty slow to me, I mean it in a good way I guess. Very realistic in my opinion, both characters and the whole interaction. 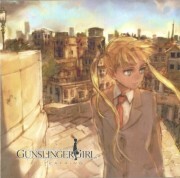 Thou it's about cute girls and guns, there's nothing cute about this anime at all (other than the girl). It's a bit cruel and like I've said before it's very realistic. Nothing dreamy. Brutal and haunting, this series is a explosive one. It is disturbing when young ones use such high powered weaponry, but that is why the series is strong. Only problem was the ending, it sort of... cut off. I have not seen the next instalment, but I hope to. I am leery though, the next series might not be as good. gun fights realistic, relationships threads great. characters development excellent. the whole thing feels realistic thanks all the insights revealed by each character. the artworks style set the context and given its tone. seiyuu performance great, added life and spirit to characters. Well, to be honest I didn't know what to expect when I saw the titles 'Gunsliger Girl'. It looks cool to me, so I give it a try. Very sweet(?) anime? Not really sure, but what do you expect me to say about a little hitman girl?? That this anime focuses more on the girls than their missions was something I enjoyed. A premium was placed on character development rather than big explosions and convoluted plot twists. Though the moral dilemma the plot raises is never quite answered, I found myself enjoying the anime more than I initially expected I would considering it was something I got on a whim (to round out my purchases and get a certain percentage off, hah, lucky purchase yes? ).